– Henry Louis Gates Jr.
“The Past Is Never Dead” is a book about a trial. 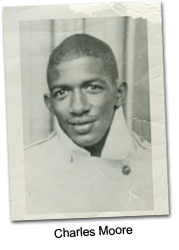 In January 2007 the federal government charged James Ford Seale with conspiracy and kidnapping in the 1964 murder of two young black men. In May of 2007 Seale was tried for these crimes in Jackson, Mississippi. The book tells the story of the trial from beginning to end, and in the telling recreates the crime itself. The case has all the problems truly cold cases have: missing evidence, deceased or ancient witnesses, and decayed memories. 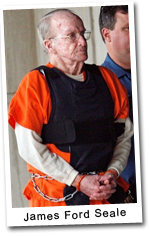 The key evidence against Seale is the testimony of Charles Edwards, a fellow Klansman who was himself involved in the crime. But the book is about much more than the trial. The title is from William Faulkner in his book “Requiem For A Nun,” and the full quote is: “The Past Is Never Dead. 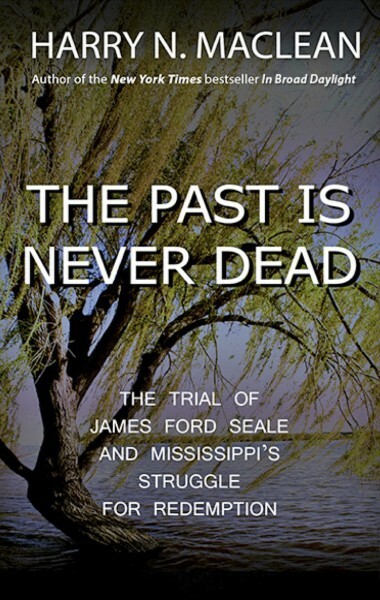 It’s not even past.” The story of the trial is woven together with the story of Mississippi, its past and its ongoing struggle for redemption. Nothing stays frozen in time. Not even Mississippi. Mississippi today can’t be the Mississippi of yesterday. I was drawn to the notion of unraveling the modern truth of the place. Mississippi is, after all, the home of some of America’s greatest writers—William Faulkner, Tennessee Williams, William Percy, Eudora Welty—as well as its some of its most original musicians: Muddy Waters, Robert Johnson, and of course Elvis Presley. Is Mississippi still in the grip of its bloody, racist past? What does the place feel like? Is the Delta, once the world’s greatest cotton field (built and farmed by slaves), still rampant with the blues? Do the high school kids in Mound Bayou, an all-black town made up of descendents of the slaves of Jefferson Davis, text and get on Facebook? So I set out to peel back the layers of perception. Not as a sociologist or historian, but as a writer, an observer, a curious American. I talked to Mississippians from all races, classes, and geographical regions. Statistics show Mississippians as the poorest, the fattest, and the dumbest in the Union—certainly an ugly image—but who are these people really? I tried to sense where Mississippi was on its path to redemption, and I came across the town of Sumner, in the Delta, where the murderers of Emmett Till were tried and acquitted in 1955. Sumner is trying with a good heart but considerable difficulty to move beyond its past and achieve some sort of racial reconciliation. In the book I tell the story of Sumner, to help tell the story of Mississippi. In the end, I found what I think I always expected to find: that there is no single Mississippi, that there is no single truth to the place. Mississippi, of all places in this country, is fraught with contradictions and ironies and paradoxes. Which in the end makes the place all the more fascinating for an outsider. The story of Seale’s guilty or innocence is finished. Seale was convicted of the crimes with which he was charged, but his conviction was overturned by a three-member panel of the Fifth Circuit Court of Appeals. In June 2009 this decision was overturned by an evenly split full panel of the 5th Circuit. The U.S. Supreme Court subsequently refused to hear an appeal. 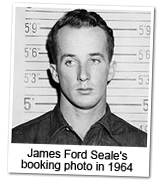 James Ford Seale died in federal prison in Terra Haute, Indiana on August 2, 2011. Dunn Lampton, the U.S. Attorney who successfully prosecuted him, died two weeks later in Jackson, Mississippi. And the story of Mississippi is not finished. The Confederate Flag is no longer allowed at Ole Miss football games. Economic development is coming to many areas. And a Cold Case unit at the Justice Department is aggressively scouring Mississippi and other southern states for unsolved race murders from the sixties.